This is a tessellation of the celtic circle molecule. 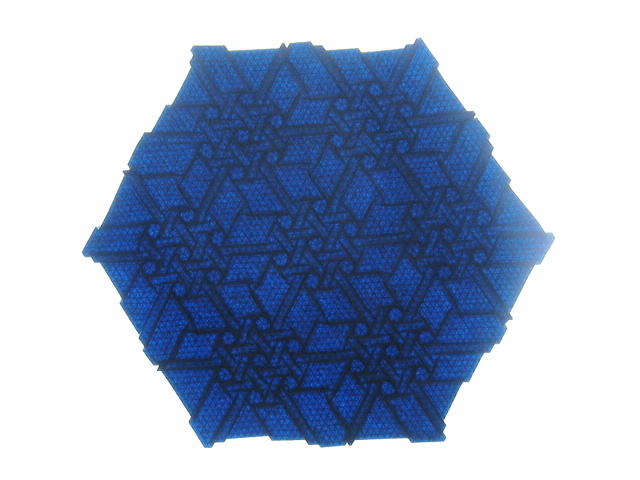 It's folded on a 96 division grid. I know you made this comment ages ago, but a 96 division grid can be made by folding into thirds and then folding the thirds in half to make sixths and again to make twelfths, twenty-fourths, forty-eighths and finally ninety-sixths.